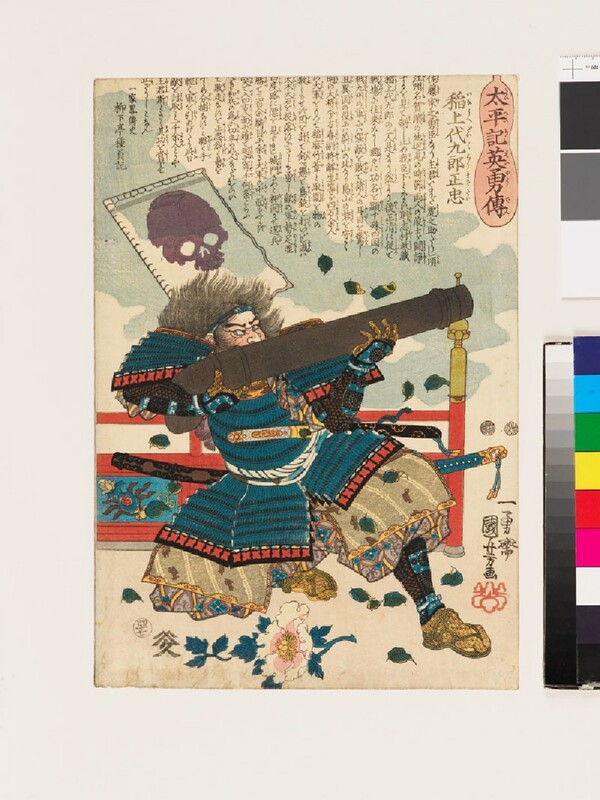 This print depicts the warrior Inoue Daikurō Nagayoshi, who led a tiny force of Japanese soldiers to victory over an army of 40,000 Chinese warriors during the warlord Toyotomi Hideyoshi’s invasion of Korea in the 1590s. Here he aims an enormous cannon, illustrated by Kuniyoshi to emphasize the warrior’s great strength and courage. 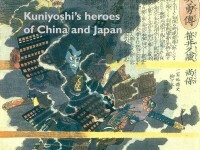 The peony flower which lies at Nagayoshi’s feet is a Chinese symbol of affluence; perhaps it indicates the Chinese defeat in this battle.